Early morning with dark clouds overhead. 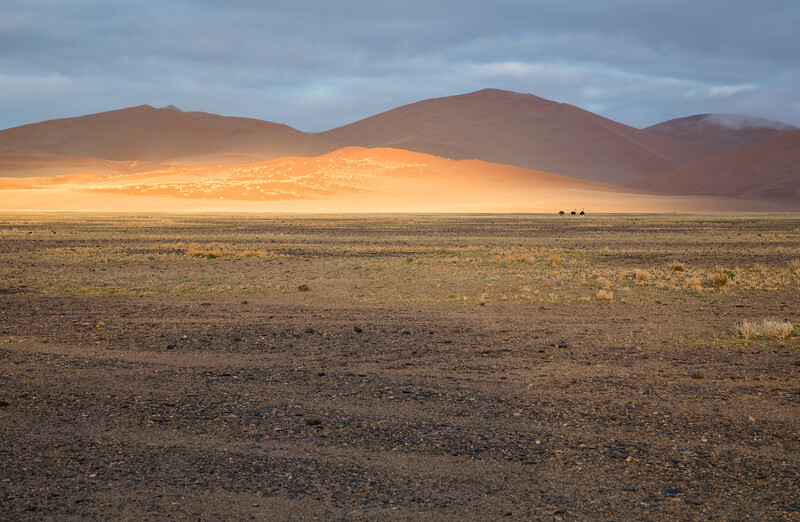 Sossuvlei stands alone in its unique beauty. The early morning light is incomparable. Three ostriches are in the background.